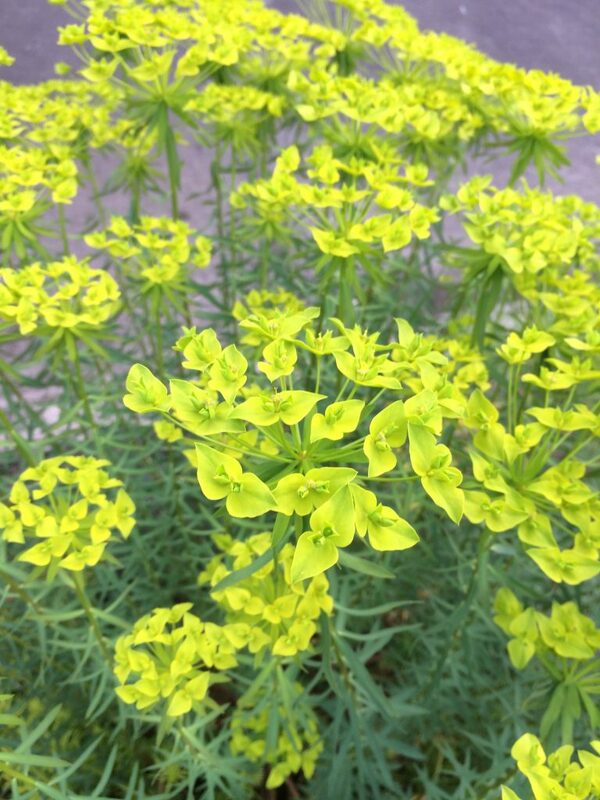 FANTASTIC long long blooming easy to grow and STERILE Euphorbia hybrid. Large clumps support wide umbels of electric gold flowers. 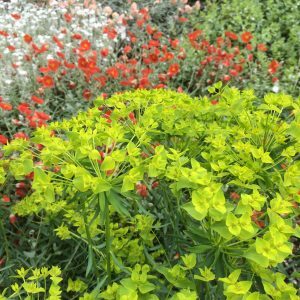 They appear in spring and are effective on the plant well into summer. Foliage is fine, mid green and is a great backdrop to the never ending flowers. Semi-evergreen. 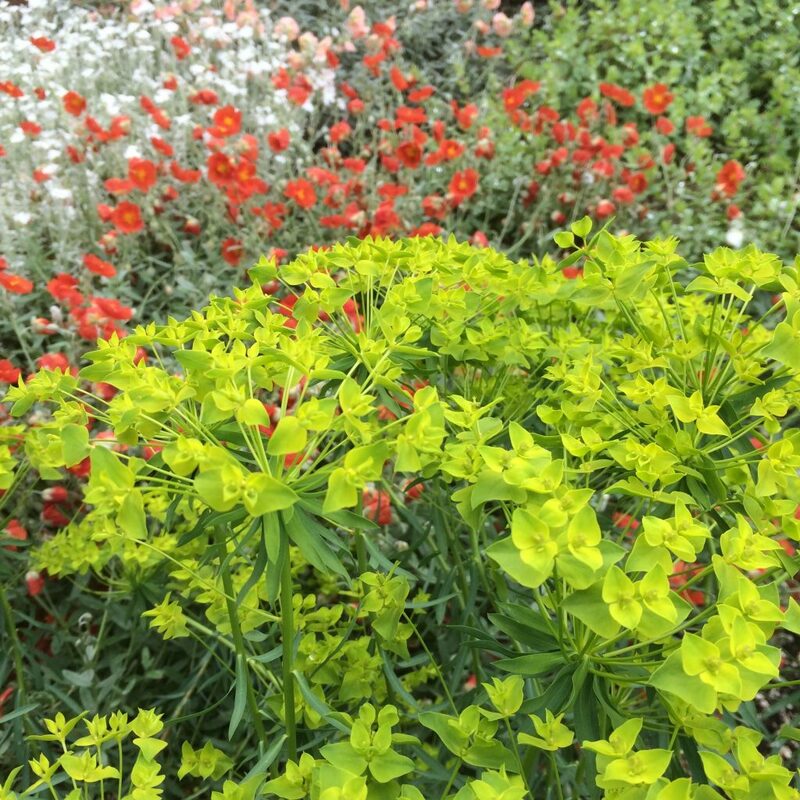 A beautiful and valuable perennial for full sun and well drained soil. Little summer water required. Excellent heat tolerance and performance in hell strips. To 2′ tall and forming clumps a little wider. Mix with Salvias, Eryngiums for visual perfection and the same culture. Moderate deer resistance.